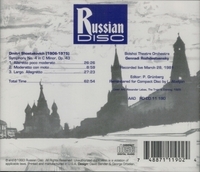 "The Russian conductor Gennady Rozhdestvensky, who championed an eclectic array of music, including works by Alfred Schnittke and Sofia Gubaidulina at a time when the Soviet establishment frowned on those composers, was widely admired for the emotional intensity and spontaneity of his performances, recorded some 786 works, ranging from repertory staples to neglected music. He inspired many composers, including Ms. Gubaidulina, who created an orchestral work for him. At the height of the Cold War, Mr. Rozhdestvensky was one of the elite Soviet artists permitted to tour abroad. In 1962 at the Edinburgh Festival he conducted the first performances in the West of Shostakovich's Symphonies Nos. 4 and 12, with the composer in the audience. Yet he struggled within the confines of the Soviet system, saying: 'It is too difficult for me to work with such a bureaucratic machine. It interferes with my creativity and with my art'. 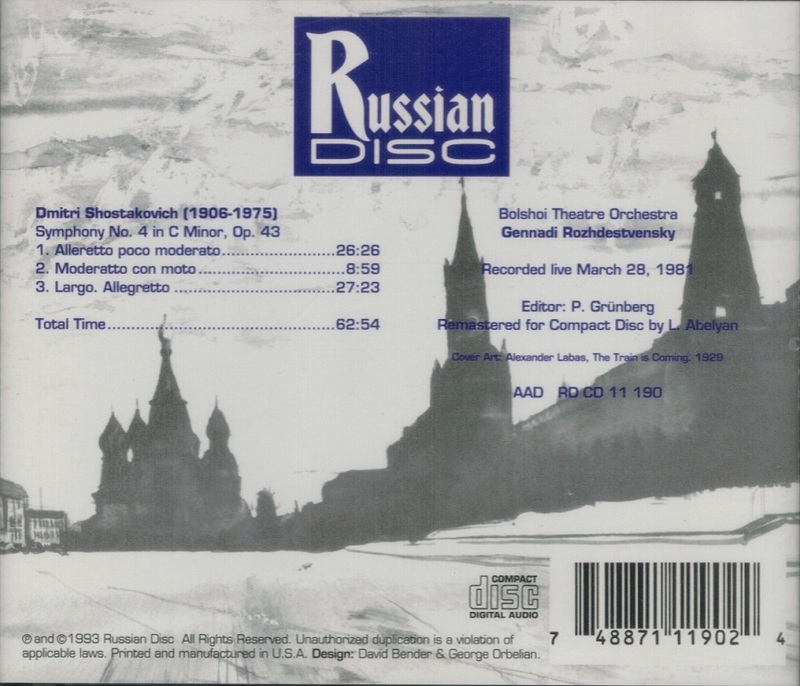 In 1974, Mr. Rozhdestvensky took a risk by conducting Schnittke's vast, exuberant and polystylistic Symphony #1, giving the premiere in Gorky instead of Moscow to avoid provoking the authorities. He also led world premieres of music by composers including Edison Denisov, Rodion Shchedrin, John Tavener and championed the work of many others, including Prokofiev and the Georgian composer Giya Kancheli. Mr. Rozhdestvensky led the first complete staging of Prokofiev's opera WAR AND PEACE in 1959. In 1974 he conducted the first Soviet revival of Shostakovich's THE NOSE, which had not been performed since 1930, and conducted the Russian premiere of Britten's A MIDSUMMER NIGHT'S DREAM in 1965. He also introduced Soviet audiences to the music of Hindemith, Poulenc, Ralph Vaughan Williams, and Orff, among others. He made his debut as a conductor leading the Bolshoi Theater Orchestra in Tchaikovsky's SLEEPING BEAUTY while still a student, inaugurating a long association with the Bolshoi, where he was principal conductor from 1964 to 1970. Mr. Rozhdestvensky, who could be prickly, was appointed the ballet and opera company’s artistic director in 2000 but resigned the next year after conducting the original version of Prokofiev's opera THE GAMBLER because of, among other issues, what he perceived to be unfair treatment by Moscow journalists. He made his debut at the Royal Opera, Covent Garden, in 1970 with Mussorgsky's BORIS GODUNOV and also conducted at La Scala and the Paris Opera. He had stints as chief conductor at the Vienna Symphony, the Stockholm Philharmonic and the BBC Symphony and was a guest conductor at important orchestras including the Berlin Philharmonic, the Cleveland Orchestra, the London Symphony and the Royal Concertgebouw. In an essay in 1991, Schnittke wrote: 'I once calculated that there are now some 40 compositions written for Rozhdestvensky - either derived from his ideas or else he was the first to conduct them. I could not believe it, but it really is so. I could even say that nearly all my own work as a composer depended on contact with him and on the many talks we had. It was in these talks that I conceived the idea for many of my compositions'. 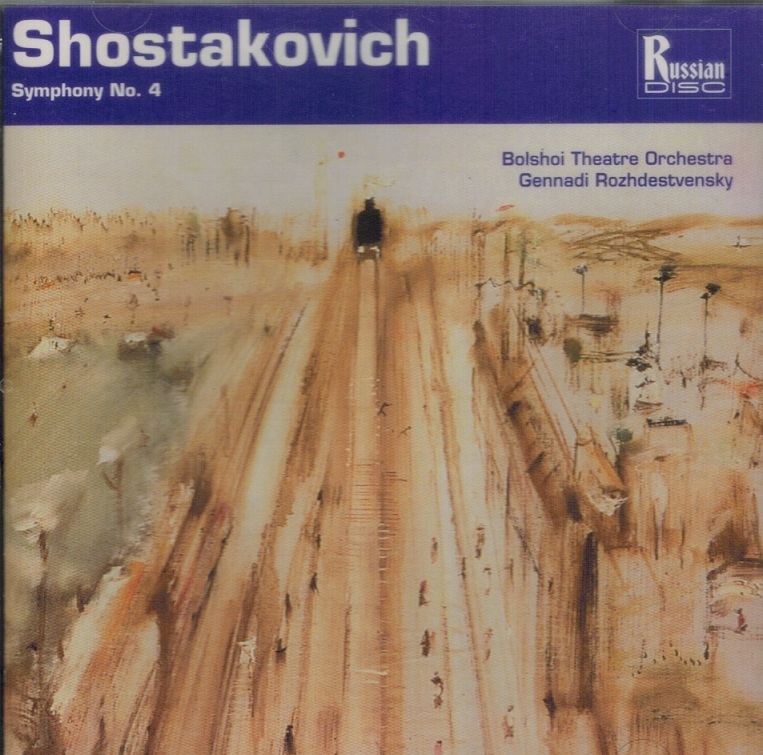 Mr. Rozhdestvensky met Shostakovich while a student and went on to vigorously promote his music. 'It would be difficult', he once said, 'to overestimate the significance of my relations with Dmitri Shostakovich and Alfred Schnittke, in that these two titans opened before me a musical universe, like a gigantic magnifying glass reflecting our fragile world'."